Many women have dreamed of their wedding day since they were kids, and the picture perfect scene usually includes the most romantic wedding dress imaginable. For romantic wedding dresses Northwest Illinois brides know that they can turn to Adore Bridal & Specialty for their big day, and for the wedding gown of their dreams. Our library of past Adore brides and our extensive Pinterest boards are all available for you to peruse. While we recognize that the internet is an excellent resource for wedding dress ideas, paying for a gown before trying it on is never the right decision! A wide selection of romantic wedding dresses Northwest Illinois brides will Adore is available at Adore Bridal, and you can contact us today to schedule your bridal appointment. All wedding dresses can look beautiful on the hanger, but we at Adore Bridal want to make sure brides don’t miss out on the bridal shopping experience. We are in the business of helping brides in the Northwest Illinois area say “I Do,” and we know rushing in is never the right approach! One consultation is not enough, which is why our stylists contact their brides before their bridal appointments. 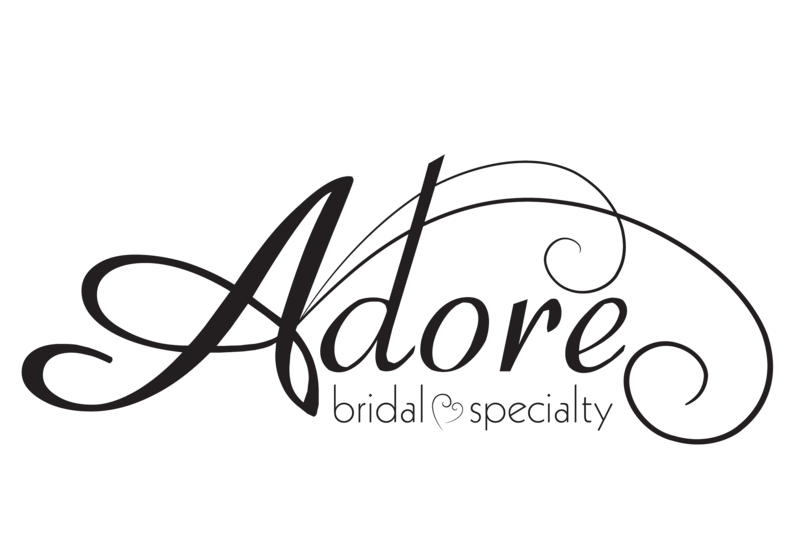 When you schedule an appointment with Adore Bridal, you will be assigned an Adore stylist whose mission is to get to know your personal style and find some amazing options for you! On your appointment day, you will have gowns especially chosen for you. Your Adore stylist will make you feel like royalty while searching for your dream romantic wedding dress. Not only that, but we can help you dress your entire wedding party! With our collection of stunning tuxedos, bridesmaid dresses, bridal shoes and other accessories, we are your one stop bridal shop. What are you waiting for? For romantic wedding dresses Northwest Illinois brides know they can turn to Adore Bridal, and you can too! Contact us online or call 309-291-0838 to schedule your appointment today.